These one day excursions form part of the whole tour package. Up to 6 people can go on a trip to their site of interest or see an activity taking place in a community. The duration of the touring is approximately for 5 hours. The culture of Bougainville is an ancient one, very connected to a spiritual earth that nurtures them. They often refer their land as the Holy Land (which means – Land that is sacred and must be protected). 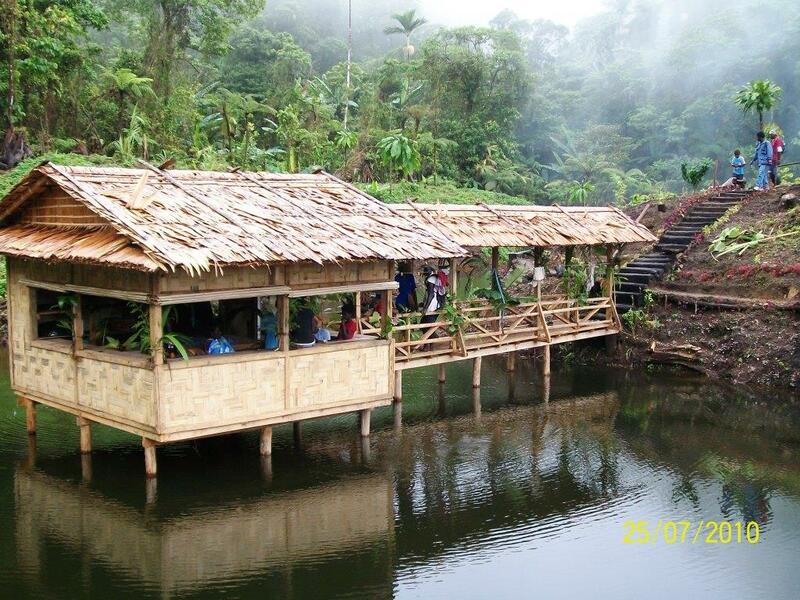 This matrilineal culture is similar to other New Guinea Islands. They have many customs, cultures and practices, the best way to really understand this is to go there yourself and live in a village for a few days. The crafts and customs of Buka and North Bougainville are fascinating for anyone interested in the culture. Featured on the provincial flag is a tall hat, known as Upei. The Upei is a woven headdress worn by young men at their initiation and marriage ceremonies. At the Saturday markets the Siwai and Telei folk of the mountainous southwest present their famous Buin baskets. These are (justifiably) South Pacific’s best basket weavers, creating perfectly round hand baskets with delightful colours and intricate lids. Also look out for the intricately and skilfully woven Buka baskets, which are made from jungle vine. The Autonomous Region of Bougainville wooden carving is also well known, with Tinputz carving geometrical designs and the folk of North Bougainville producing rather abstract animal and human forms. To the south the village artisan at Rorivana turn out realistic human carvings. The Bi-Annual Reed Festival is a cultural event for the Bougainvillean people to show their culture, beauty and diversity over several days through cultural dancing, songs, plays, drama and other traditional and creative arts. The Reed Festival is staged in Arawa and performers come from all over Bougainville. The festival provides the opportunity for young Bougainvilleans to learn about and partake in their own culture from the older generation. One important part of the Reed Festival is the ‘Cool Culture’ component that incorporates cultural activities and displays by the local children. 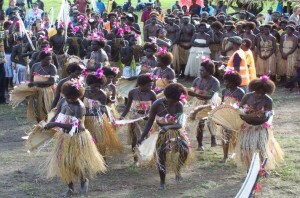 The Mona Festival is held annually in Buka town to celebrate the seafaring tradition of Bougainvilleans. It is staged in July of every year and attracts cultural performers from all over the province. The Mona Festival is sometimes referred to as the Canoe Festival. The name ‘Mona’ actually refers to a large sea going canoe which was used in traditional times for the purpose of trade or to conduct lightning raids on other communities and islands in the Solomon Sea. The Mona is not a ‘dugout’ canoe made out of hallowing out the trunk of large trees. Instead the canoe is crafted out of hewn planks (using stone tools) of hard lightwood, expertly held together using special vines. The Mona was made water tight using the sap from the seeds of a certain tree. The canoes could hold up to 10 rowers and could move swiftly over water. For those who wish to see and appreciate what Mother Nature has to offer in flora, mountains, rivers, forests and the whole natural environment these tours are for you. This giant sinkhole has the largest cavern in the world (length = 470m, width = 150m and height = 170m). It is in the Torokina Area along the Keriaka Plateau. Impressively it contains an 18m tall stalagmite. There are many other caves on the main Bougainville Island and some easily assecible on Buka Island. There are around 60 lakes in Bougainville including the largest Lake Lahala which is near Buin in the South of Bougainville. You can hike to see impressive Caldera lakes of Bougainville, namely Lake Billy Mitchel and Lake Loloru. These are fresh water lakes with marine life and surrounded by dense jungle. Bougainville lies on the Pacific rim of fire, as a result the island is the home of six active volcanoes. Three of these active volcanoes are accessible by foot for arduous hiker. Mt Balbi is an active volcano on the northern side of the main Bougainville Island and is the highest point in the province. The Mt Balbi has six craters, one of which has a beautiful crater lake. Mt Bagana is one of the most active volcanoes in Papua New Guinea and lies in the center of the island. Mt Bagana is more active than Mt Balbi. Mitchel is in its 2km wide crater. The volcano is named after an American General considered to be the Father of the American Airforce. The lake has a depth of 90 metres and is surrounded by thick jungle. You can hike to all volcanoes within a week, if you make your base at Wakunai, a one and a half hour’s drive south of Kokopau Town. Located across the Buka passage from Buka town, Kokopau is a transit hub that connects the administration center of Buka to the rest of the main island. Physically, the hike is very challenging. 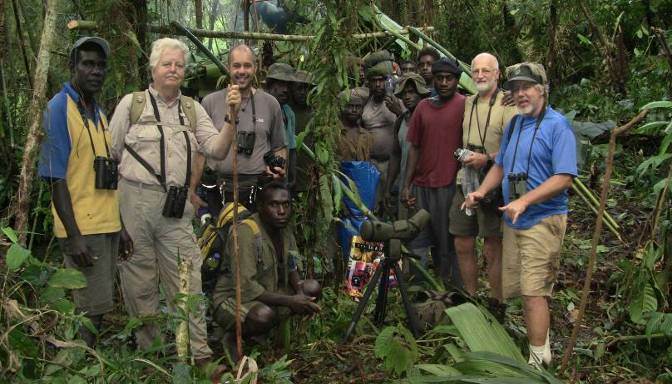 Bird watching on Bougainville has attracted world-wide attention after a former school teacher (Mr Don Hedden) on the island published a book about birds of Bougainville. Bird watchers from UK, US, Australia and New Zealand have booked tours with Bougainville Experience Tours to catch a glimpse of these birds and also to see a rare Moustached King Fisher which is only found in Bougainville. Bougainville’s mountains interior and rugged terrains offer a challenge to mountain climbers, trekkers and bushwalkers who would like to explore more into these areas. One such example would be – trekking from the east coast of Bougainville to the west coastal along the Numa Numa Trail. 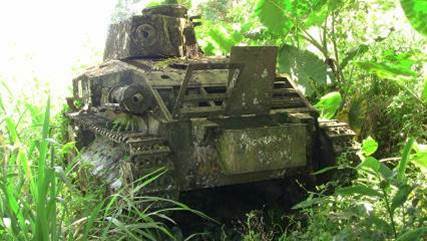 This trail was used by Japanese troops who withdrew from Torokina west coast Bougainville when allied forces landed there during World War 2. The track runs over the Crown Prince Range Mountains between Mt Bagana and Mt Bavi which are volcanoes. Up to 8 people can be taken on a trek. Whilst some treks are easy, others may require high level of physical fitness on the part of the trekkers depending on the distance. 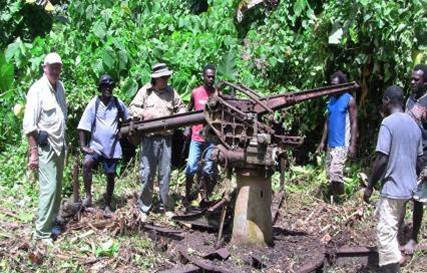 For the more adventurous or those with a sense of history, Bougainville holds many wartime secrets in its jungle-covered hills. This is where the United States Marine Corps began their advances against the Japanese after a horrible battle for Guadalcanal in the nearby Solomon Islands. Admirals Yamamoto’s aircraft was shot down here and the rarely visited wreck can be found hulking in the rainforest gloom. The site is covered in thick jungle and there are still some landowner issues, but if you arranged yourself early and got in touch with one of the local tour companies, they can get you there. 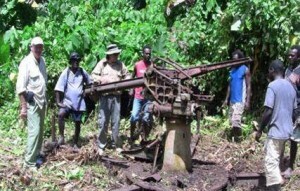 Torokina, on the West Coast of Bougainville is the site of important invasions and land and sea battles between Allied and Japanese Forces. You can find a lot of WWII relics here including unexploded ordinances.There is an airstrip here and much of the road network built during WWII is still intact. Torokina was also famous in pre-crisis days for the heavy surf that could be found there. To get to Torokina you can organize a charter boat in Buka. Little Tokyo is an underground military base that the Japanese Forces, who held Bougainville for much of World War II, wanted to resettle a larger number of civilian Japanese at. According to the locals the big white bunkers are all now covered in very thick jungle and it looks like a place that time forgot. Little Tokyo can be accessed via Buin, South Bougainville. For War buffs, this island 100 km north of Buka has an American WWII airstrip and other relics including a WW2 swimming pool. There is a guest house there. You can hire a speed boat or ctach one of the regular shipping boats that travel out that way. If I was you, time your visit well, hire a speed boat out there and catch the regular ship back. You can do this for Catarats as well.